Only one in 10 CEOs is a woman and there's a growing number of explanations put forward to explain the imbalance. Now comes the suggestion that subtle elements in performance evaluation could be playing a major role. Researchers Shelley Correll and Caroline Simard discuss in the Harvard Business Review their finding that the feedback women receive during their career tends to be vague and unrelated to outcomes. This contrasts with the experience of men who get clearer information on what is going well and specific ideas on how to improve. “Our research shows that women are systematically less likely to receive specific feedback tied to outcomes, both when they receive praise and when the feedback is developmental,” the authors note. 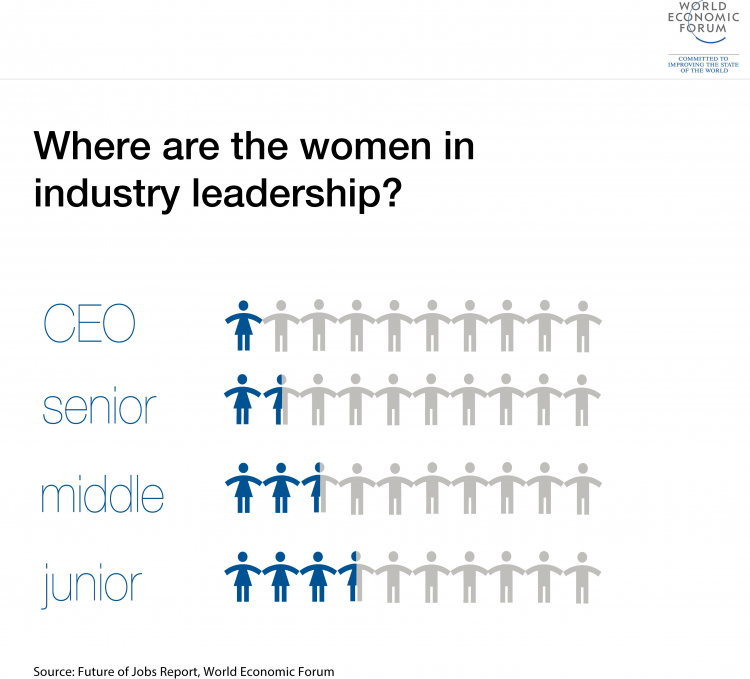 The extent of the gender imbalance in leadership is highlighted in the World Economic Forum’s Future of Jobs Report 2016 , which shows women men aren't just underrepresented in CEO and senior roles but also across mid-level and junior roles. The researchers analysed performance evaluations across three high-tech companies and a professional services firm. They found that women were regularly criticized for their communication style, with 76% of women being found to be “too aggressive” compared to only 24% of men, but that typically, such feedback came with no specific advice on how to change behaviour. “If reviewers do not specifically call out where women excel, where they need to build skills, and which technical projects they should target next, women are at a subtle disadvantage for promotion,” conclude the authors. Correll and Simard recommend that managers improve the feedback they give and provide all employees with a similarly structured review that ensures developmental feedback. How can women climb the leadership ladder?